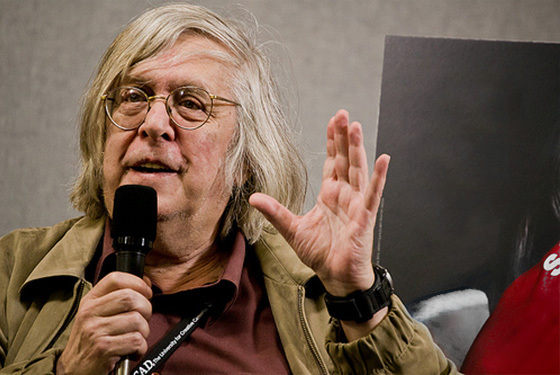 From Cineaste 22, no. 3, 1996; reprinted with further comments in Discovering Orson Welles. — J.R.
Orson Welles: The Road to Xanadu, by Simon Callow (New York: Viking, 1995). 640 pp. Rosebud: The Story of Orson Welles, by David Thomson (New York: Alfred A. Knopf, 1996). 461 pp. Orson Welles, revised and expanded edition, by Joseph McBride (New York: Da Capo, 1996). 243 pp. The first attitude can be found in relatively undiluted form in six extended works by four authors — Charles Higham’s The Films of Orson Welles (1970) and Orson Welles: The Rise and Fall of an American Genius (1985), Robert L. Carringer’s The Making of Citizen Kane (1985; revised edition, 1996) and The Magnificent Ambersons: A Reconstruction (1993), Pauline Kael’s essay “Raising Kane” (1971 — reprinted most recently in For Keeps, 1994), and David Thomson’s recent biography Rosebud: The Story of Orson Welles (1996). 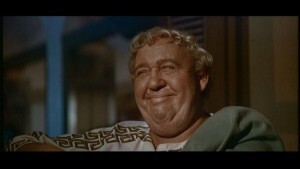 A more diluted form of this attitude can be found in Simon Callow’s Orson Welles: The Road to Xanadu (1995), the first volume of a projected two- or three-volume biography that basically ends with the release of Citizen Kane and the stage production of Native Son, the last two projects in which Welles collaborated with John Houseman. Though not all of the seven works representing the first attitude have received an equal amount of attention in the U.S., I think it would be fair to say that this still represents the most widely held mainstream position about Welles — the same position propounded in a recent documentary nominated for an Academy Award, The Battle over Citizen Kane. (By contrast, It’s All True: Based on an Unfinished Film by Orson Welles, a 1993 documentary, represents the second position.) The usual corollary of this attitude is a reading of Citizen Kane as a Hollywood picture rather than the first feature of an independent filmmaker that happens to use certain Hollywood resources. Paradoxically, many of those who single out Kane as Welles’s ultimate or only major achievement also routinely tend to support contemporary commercial filmmaking practices that would make such an achievement impossible and unthinkable today. 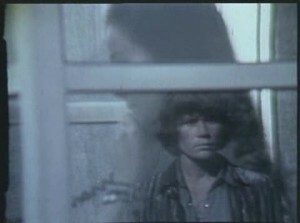 For those, on the other hand, who tend to endorse Welles’s moves toward freedom, diversity, and independence even when this necessitated moving outside the Hollywood mainstream, the jagged path of his career can’t be charted according to any simple pattern of ascent or descent; there are peaks and valleys throughout. (For an artist who refused to repeat himself or turn his directorial talent into a commodity, this surely goes with the territory.) I should add that my preference for the ten books representing this second attitude is not a disinterested position; I translated and edited the first of these books and edited the last. Another major distinction that can be made between these lists is that the first seven works all describe Welles as a deeply flawed, morally reprehensible human being and the last ten don’t. 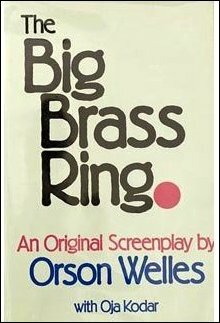 Significantly, only one of the authors in the first list, Carringer, ever had any personal contact with Welles — unlike most of those in the second list, including Bazin, Bogdanovich, Brady, Cobos, Leaming, and McBride, and possibly others as well. Most of my own sense of what Welles was like derives from numerous conversations I’ve had over the years with Oja Kodar, Peter Bogdanovich, the late Richard Wilson, and Gary Graver, as well as briefer encounters with John Berry, George Fanto, the late Fletcher Markle, Patricia Medina, Alessandro Tasca di Cuto, Ruth Warwick, and Beatrice Welles-Smith, among others. The composite picture I’ve gotten is far from complete, but it seldom gibes with the compulsive liar and shameless exploiter that emerges from Thomson’s book and periodically turns up in Callow’s. Some of this may arise from a temperamental difference in how we interpret the same data. Berry once described to me with relish his experience of holding up scenery outdoors for an entire morning during the shooting of a 1938 film intended as a prologue to the stage farce Too Much Johnson. When lunch arrived and Welles sat down to eat, Berry blurted out how hungry he was, whereupon Welles made a great show of offering him his own seat and plate. Berry was too intimidated to accept and went back to holding up the scenery. The same anecdote is recounted in Rosebud — Thomson, who appears to have done virtually no original research, takes it from a Patrick McGilligan interview — but the resonance it takes on in this new setting is markedly different. Both versions of the story illustrate how adept Welles was at getting what he wanted from his employees, but when Berry told it to me, his overriding and unwavering affection for Welles was what mainly shined through (which makes this a typical and even archetypal Welles anecdote in my experience). In Thomson’s account, thanks to the surrounding context, it registers as one more instance of Welles’s hollow self-centeredness, another example of moral bankruptcy. One lesson to be learned from this is how mythical and ideological a creature Welles remains, a site for the acting out of various fantasies. Critics and biographers of Franz Kafka don’t waste much time worrying their heads or clucking their tongues about why Kafka “failed to live up to his promise,” despite the fact that his own record of unfinished longer works — and his reluctance to make many of his shorter works available — is far worse than anything to be found in Welles. Curiously, even the most destructive Hollywood moguls, including those responsible for destroying the discarded Welles footage from The Magnificent Ambersons, The Stranger, and The Lady From Shanghai, have failed to elicit the sort of disapproval from writers that Higham and Thomson relentlessly heap on Welles. The bad news about the recent Welles biographies by Callow and Thomson is that they pretend to an authoritativeness about the man’s inner nature and motivations that I doubt will be accepted by anyone who knew Welles intimately — or even by most of those like myself or Brady who encountered him only briefly and casually. 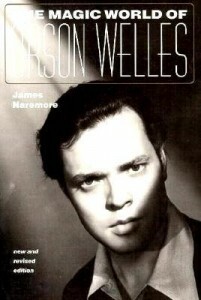 Conscious or not, the agenda of both Callow and Thomson is to set certain ideological worries about Welles to rest rather than clarify what these worries represent, and exercising moral censure, puritanical or otherwise, is one of the most convenient methods available for carrying out this task. Another is the recourse of both biographers to a kind of spurious and, in Thomson’s case, irresponsible word-spinning about Welles’s inner life normally associated with fiction. In Callow’s book, this resembles the way a Stanislavsky-inspired actor might prepare for a role; in Thomson’s book, by his own admission, it often overlaps with the work undertaken by a novelist (although in this case, a rather self-indulgent and self-serving one). In both cases, this enterprise also calls to mind the efforts of certain British journalists to fill up a page with lively patter regardless of whether or not they have anything substantive to say. On this score, both Callow and Thomson are skillful writers whose skill often consists of creating smokescreens. Although they both have functioned admirably in the past as critics, and their critical gifts never fully desert them here, the basic issue of whom they’re writing about — not simply what he did and why — is never wholly engaged. 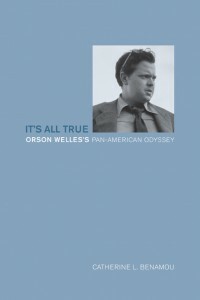 By contrast, one of the invaluable merits of McBride’s modest critical study on Welles — originally published in 1972, and substantially revised and expanded for its second edition— derives from the fact that he worked for Welles as an actor on the still-unfinished The Other Side of the Wind. This may make him more of a partisan, along with Berry, but it also gives his personal judgments some solid basis in experience. And in conscientiously updating the record on Welles’s peripatetic career, he offers a balanced survey of the work that can be warmly recommended as a useful starting point for anyone wishing to delve into the subject. His four-page bibliography, apart from being mainly limited to English-language entries, succinctly sums up the current state of Welles studies — quite unlike Thomson’s, which is nearly twice as long. Although I think McBride underrates Othello and The Trial and overrates Macbeth and The Immortal Story, such disagreements are secondary to the fact that he has plenty of valuable and interesting things to say about all four. (His brilliant observation that Hitchcock’s The Wrong Man “could well serve as a step-by-step illustration of how to film the nightmarish aspect of Kafka’s world” should perhaps be set alongside Noël Carroll’s defense of The Trial as a faithful literary adaptation, found in Film Reader no. 3, 1978.) And his lengthy chapters on Citizen Kane and The Magnificent Ambersons, which take up almost a quarter of his text, manage to be both judicious and comprehensive. Olivier and Laughton . . . could hardly be said to be practicing the same art. Laughton the deep-sea diver who had to keep coming up for air, Olivier the surfer whose skill took him to places he never meant to go; they had the sea in common, but that was all. In Spartacus, the two modes can be seen side by side: Olivier . 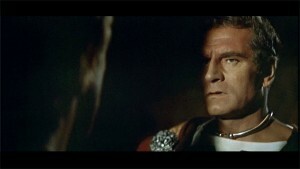 . . plays Crassus like a knife: it is an entirely linear performance with every point brilliantly made. His glacial patrician manner, his ruthless ambition, his strongdesire for his handsome young slave, are all cleanly and sharply indicated, is as if there were a thin black line drawn around the role. Laughton’s Gracchus has no such boundaries, no such definition. It spreads, floats, expands, contracts. The whole massive expanse of flesh seems to be filled with mind — thoughts are conceived, born and die in different parts of that far-flung empire. Sedentary for the most part, Gracchus seethes with potential movement. He is a jelly that has escaped the mould; Olivier’s (and Crassus’s) sharp knife can gain no purchase on it. Both Callow and Thomson are disappointingly negligent when it comes to assessing Welles’s radio work in any detail — a major subject that still awaits a critical chronicler — but only Thomson is so lazy in this regard that it leads him to make gross blunders about Welles’s work as a whole. Thus Horse Eats Hat, one of his comedy stage productions, “reminds us on how very few occasions Orson Welles played anything strictly for laughs,” a line that literally throws out dozens of radio shows. 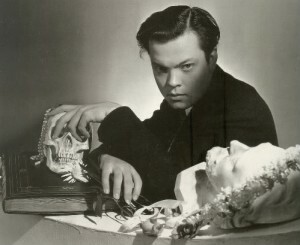 Similarly, we learn that “Nothing [of the voodoo Macbeth] remains but still photographs and memories” — an assertion leading to a bogus theory about Welles’s attitude toward the production — which rules out the surviving newsreel footage of the play’s ending (some of which can be seen in The Battle over Citizen Kane). 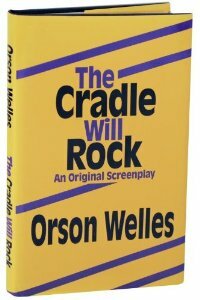 Elsewhere, “Welles was inclined to give [The Cradle Will Rock] scant attention in his history of what he had done,” which sounds fine until you consider that the most sustained piece of autobiography Welles ever wrote was a screenplay about that very production, cited in Thomson’s bibliography. The problem with such gaffes is that they’re typical of Thomson’s text rather than exceptional; Rosebud is bent on demonstrating that Welles was a horrible person, incapable of loving anyone but himself, and it rarely allows facts or contrary opinions to get in its way. If Callow is neglectful and perhaps simply naïve about Welles’s politics, Thomson seems to go out of his way to misrepresent them: “Welles . . . always liked his revolutionaries to be sophisticated and well-heeled,” he notes at one point, cavalierly ruling out, among others, Jacaré — the central, heroic, real-life radical in the central episode of It’s All True. 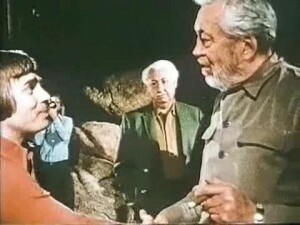 But since he elsewhere characterizes the footage from this episode, dealing with Jacaré and other poor Brazilian fishermen, as “picturesque but inconsequential material,” maybe it’s Thomson and not Welles who likes — indeed, requires — revolutionaries to be “sophisticated and well-heeled,” at least if they want to be considered consequential. By the same token, Thomson tries to imply more than once that Welles’s enthusiasm for jazz and samba and his affection for black people must add up to some form of racism: “There is sometimes a perilous proximity of old-fashioned racial stereotype and yearning sympathy,” he notes on page 144 — neglecting, of course, to say which times, which might require at least a smidgeon of research — so that by the time he gets around to Welles playing a black man in Othello (on page 305), he can note that “There is no exploitation of that special racial-sexual paranoia that Welles must have encountered with the Voodoo Macbeth, by being in Brazil and in talks with Lena Horne.” “Must have”? Are we talking now about Welles’s paranoia or Thomson’s? If Thomson appears to be letting Welles off the hook in the second quote, the hook in question is plainly his own invention. What I find unforgivable about Rosebud is its often voiced desire to close down Welles research altogether, apparently motivated by the sentiment that since Welles clearly never delivered a second Kane to Thomson’s local video store, there’s no point in looking for anything else in his oeuvre, including unreleased work he’s never seen. “Perhaps, one day, something called Welles’s Quixote will emerge,” he writes at one point — clearly unaware that one already did emerge in Spain four years ago — and adds, “Yet I wonder if it should. . . . Its legend is tattered and complete enough. Actual screenings would be so deflating, so much less than the thought of existence,” etc. It’s another way of saying, “There was never a movie there.” But having seen close to three hours of edited or reedited Quixote footage — some of it breathtaking, much of it major Welles — I would argue that however inadequate the two-hour Spanish and English versions cobbled together in 1992 might be, this Quixote footage is considerably more exciting than the legend, and even some of the footage left out of the release version, which I’ve written about elsewhere (in Persistence of Vision, no. 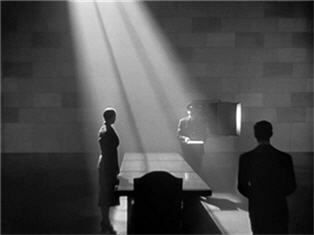 11, 1995), has to be included among Welles’s most powerful and lasting achievements. Of course, this footage doesn’t have the production values of Kane; it was shot in total independence, out of Welles’s own pocket, which means its chance of making it to Thomson’s video store even in its inadequate version is fairly unlikely. So Thomson, or any potential Welles scholar, has a hard choice to make: either to travel to the Filmoteca Española in Madrid to see most of the Quixote footage (and to Rome, where Quixote editor Mauro Bonnani possesses the rest), or to stay at home and spin theories about Welles’s degradation based on what hasn’t been seen. If Thomson had admitted such a choice exists, he might have at least tried to justify opting for the second course of action; he didn’t and hasn’t — opting instead, like most passive spectators, to let the video stores determine the Welles canon, for now and for the indefinite future. And what about the almost-finished The Other Side of the Wind, the feature that Welles most wanted to release when he was still alive, still kept unseen by legal and financial entanglements? Having seen most of this projected feature — calculated to confound all Welles fans whose measure of his achievement remains stuck in the 40s — I wonder what its complex and shocking reflections on machismo, homophobia, Hollywood, cinephilia, eroticism, and late-60s media, not to mention its kamikaze style, might do to someone of Thomson’s tender sensibilities. Fortunately, we don’t have to wait. “One day, it may be freed,” he writes. “I hope not. The Other Side of the Wind should stay beyond reach” — for reasons comparable to his arguments about why Quixote should remain unseen (and why It’s All True should continue to be seen as an incomprehensible patchwork). Perhaps Thomson should go further and argue for a retooling of the NEA, simply for the purpose of tracking down all remaining unreleased Welles footage and destroying it, thereby guaranteeing once and for all no future threats of disappointing his expectations or mocking his dashed Hollywood hopes. After all, we know in advance that whatever else The Other Side of the Wind might be, it isn’t another Citizen Kane. Come to think of it, that’s what keeps Welles so interesting.